Musharraf lets loose in Baltimore. Some simple rules of thumb for the foreign ex-dictator out to make a mint on the U.S. lecture circuit: Get yourself included in a speakers’ series that features non-controversial names like Laura Bush and Jean-Michel Cousteau. Promise your “august audience” a “frank exchange.” Maybe drop the names of one or two revered American leaders who are your close friends. And perhaps it is best not to admit that you wish you still had the power to “sort out” an impolite member of the audience. For many speakers, responding to this sort of interruption might involve that most basic maneuver of war and politics: seizing the high ground. The audience, after all, had paid between $265 and $395 for a series of lectures from prominent people, not taunts from anonymous hecklers. A few words about civility and politeness and respect might have gone a long way--especially for a guy determined to recast himself as a statesman. Musharraf, alas, rose to the bait. 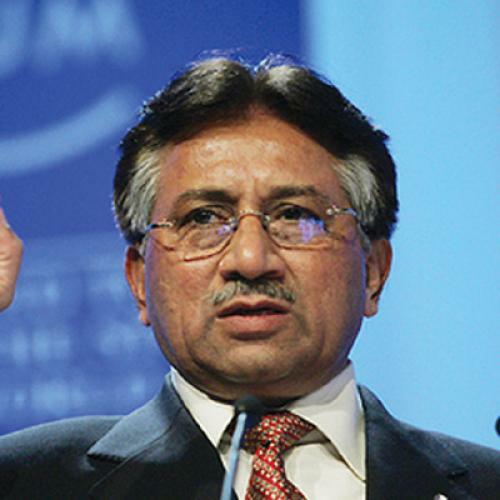 “Yes, I was,” Musharraf shot back at the man who called him a dictator. “I wish you were there so I could have handled you also.” After some murmuring, things settled back down, but the distractions started up again a few minutes later. Eventually, as talk turned to Pakistan’s relations with India, the general decided to engage again. “Maybe the gentleman who’s talking belongs to India,” he said of the Joe Wilson figure in the upper balcony. This was apparently too much for the gentleman, who shouted back that he was in fact from Baluchistan, the perpetually restive southwestern province that borders Afghanistan and Iran. “In Baluchistan, people like you who want to get away from Pakistan need to be sorted out,” Musharraf thundered. “That is what I did. . . . If you were there, you would have been sorted out by me. He thinks I’m a dictator. I’m a dictator for people like you!” Tonight, at least, the line worked: The crowd applauded as the heckler was silenced. As it happens, this sort of exchange is unlikely to affect Musharraf’s stateside reputation, for good or ill. Neither is the rest of his 90-minute chat, which hits such newsworthy subjects as the security of Pakistan’s nuclear arsenal (strong), the whereabouts of Osama bin Laden (unknown), and whether Washington should keep its troops in Afghanistan (absolutely). Though the traveling ex-president is holding forth on the year’s biggest foreign policy debate, the press hasn’t exactly hailed him as a visiting oracle. A South Dakota lecture made the local daily, but the Baltimore one didn’t. Musharraf surely knows his way around the American media. When he published his autobiography, he sipped tea with Jon Stewart on “The Daily Show.” And, since his lectures need to justify a speaking fee that’s reportedly in the six figures, it’d be reasonable enough for organizers to cast him as some latter-day version of the 1946 Winston Churchill, a deposed leader barnstorming the back-roads of his old ally, stiffening spines in the face of a new challenge. But the lectures’ real purpose, other than the obvious remunerative one, doesn’t involve enlightening the good people of St. Louis or Sarasota who’ve forked out for his speeches. It’s aimed at the folks back home in Pakistan, where his tour gets energetic media attention. Of course, the average person in Multan or Gujranwala doesn’t know Augustana College in Sioux Falls (October 2) from the World Affairs Council of Houston (October 10). That’s just the point: From a distance, the appearances don’t look like a has-been cashing in on the lecture circuit. They look like examples of America’s deep and abiding respect for the former president. But, before they conclude that Americans are entirely reverential toward their ex-leader, the pols back home might want to take a look at one of the events. In Baltimore, even the Baluch nationalists, numbering fewer than ten, didn’t look like the sort of angry mob worthy of a major figure. Outside the hall, there were reminders about an upcoming talk by Mia Farrow. A display table touted the new criminal-justice program at Stevenson University, a sponsor of the event. Stevenson marketing people passed out mints bearing the school’s URL and the slogan “Greenlight Your Career.” It was a strangely fitting message for the evening. After all, when your military dictatorship doesn’t pan out, there’s always speechmaking in Baltimore.